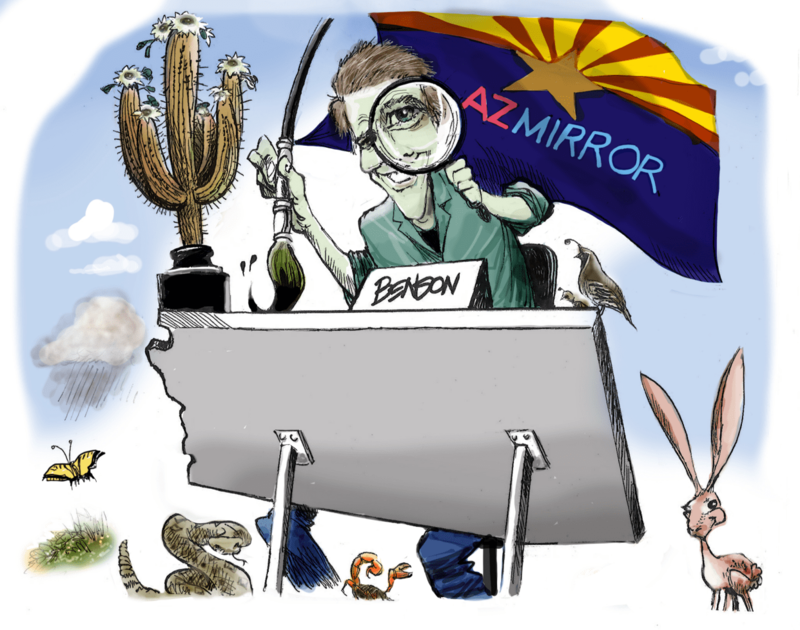 Editorial cartoonist Steve Benson has joined the crew at Arizona Mirror. In late January the Pulitzer Prize-winning cartoonist, along with a number of other journalists, was dismissed from The Arizona Republic. He continued practicing his craft as a nationally syndicated cartoonist, but now he has the opportunity to once again turn his pen to local Arizona politics. Steve will supply cartoons to the Arizona Mirror twice weekly, on Tuesdays and Fridays. Congratulations, Steve! Best of luck at the new post! 27 queries in 0.135 seconds.